Onake Obavva was a brave woman in the kingdom of Chitradurga in Karnataka, who single handed fought with the army of Hyder Ali. She just used a pestle called as Onake in Kannada and fought with the army. 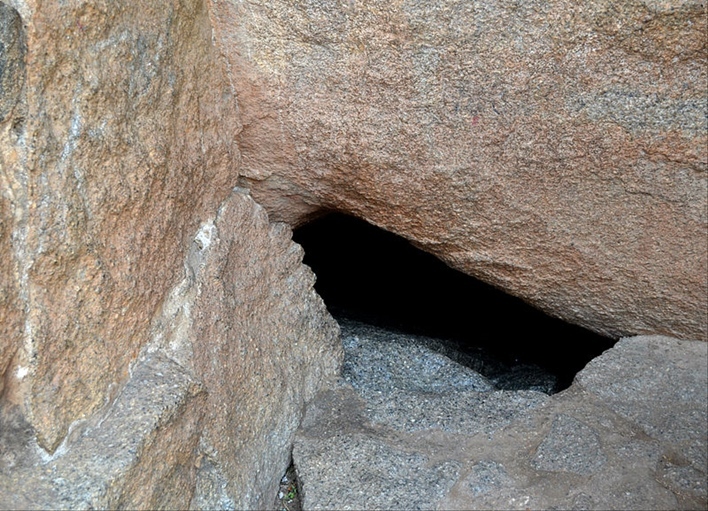 Her husband, Kalanayak was a security guard of one of the watchtowers located in the fort of Chitradurga. Onake Obavva is celebrated as one of the fiercest women patriot and warrior along with female warriors like Kittur Chennamma, Keladi Chennamma and Abbakka Rani. During 18th century, Chitradurga Fort was under the rule of Madakari Nayaka IV. This was a rough time in the history of Chitradurga. Hyder Ali one of the most powerful military leader of the times was on a town conquering spree. He along with his army would raid towns after towns and was going buck wild. Chitradurga was spared from his wrath as Madakari Nayaka IV was in good terms with Hyder Ali. 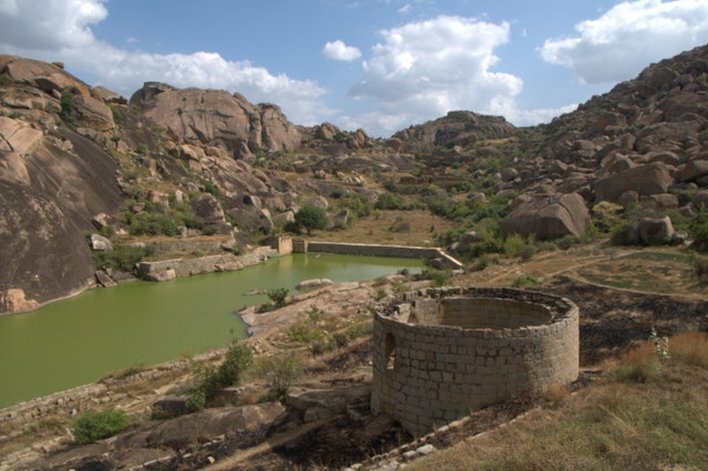 However, hell broke loose on Chitradurga when its leader switched sides, making Hyder Ali decide to attack this fort. Hyder Ali tried everything possible to conquer this fort. Starting from multiple attacks, bribes, and spys to find secret information that can be made to good use. In one such meeting with an informant, he found out about a small hole also known as kindi in one of the walls of the fort. The hole could easily fit one person in it. He also got to know that the guard watching this hole goes to his house during lunch hours to have is a meal. So he hatched a plan to attack the fort once again. He decided to send the soldiers one by one through the kindi and once they were enough in number they would attack the fort. Kalanayak was guarding the tower as usual. He decided to go on a lunch break and went home. While having his meal he asked for water. Since there was no water at home his wife Obavva went to the pond near the kindi, to collect water in a pot. While filling water she heard sounds near the hole. She realized that enemy was lined up and was trying to enter into the fort through that hole. Using her presence of mind, she hid behind the hole and waited for the enemy. She just had an ‘Onake’ a long wooden pestle used to pound paddy in the fields as her weapon. The moment she saw the first soldier popping out of the hole, she whacked his head so hard that he dies in a single stroke. She carefully dragged the lifeless body and hid it so that none could notice. Similarly, she kept killing all the soldiers that came inside the fort through that tiny hole. Since the enemies were in the stealth mode, none were supposed to make any indication or noise for the following person. Hence, none of the enemies approaching the hole were aware of death dancing on their heads. The lone women bravely killed all the enemies that tried entering the fort that day. By the time Kalanayak finished his lunch and returned to his guarding post he dozens of lifeless bodies lying everywhere around Obavva. Her clothes were completely soaked in blood. Kalanayak blew the bugle or the trumpet and informed the soldiers of the attack. He along with all the other soldiers killed the enemies and saved the fort. It was because of Obavva’s presence of mind that Chitradurga got saved that day, however, Hyder Ali was successful in capturing the fort in 1779. Unfortunately, Obavva died the very same day. The real cause of her death is uncertain. As some believe she dies due to the shock of killing so many people, while others believe that one of the enemies attacked and killed her. Nothing can mar the heroic achievement of Obavva. With whatever little resources she has, she stood fiercely in front of the enemy and showed an example of exemplary courage. The hole that she guarded is now known as Obavvana Kindi. There is also a sports stadium with her name called as Veera Vanithe Onake Obavva Stadium.